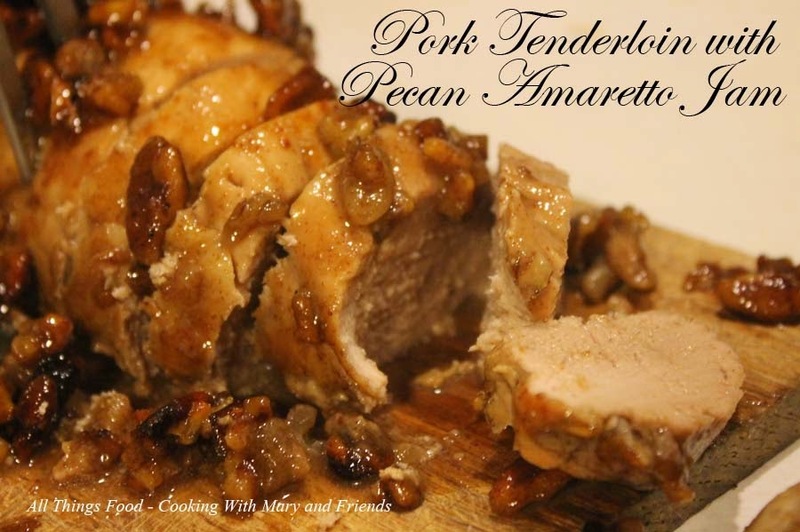 Amazing, quick and easy way to prepare a pork tenderloin. The end result is moist and tasty. Mix Pecan-Amaretto Jam, grainy mustard and honey in a small bowl. Spray a baking/roasting dish with cooking spray and place pork tenderloin in the pan. Spoon Pecan-Amaretto Jam mixture over pork, reserving some to baste pork with later. Roast in 350 oven approx. 35-45 minutes or until pork is cooked through. Baste with additional Pecan-Amaretto Jam part way through roasting time.